The Flemish broadcaster Één has held a big national final to determine the Belgian entry for Stockholm very early in 2016. Out of six candidates the winner Laura Tesoro has been chosen and the song is called “What’s The Pressure”. Last year Belgium could achieve the fourth rank in the Grand Final with the extraordinary performance of “Rhythm Inside” by Loïc Nottet. This entry has been chosen by the Walloon broadcaster RTBF. Both broadcasters RTBF and Één rotate yearly in the responsibility to find the Belgian song for Eurovision. Laura Tesoro was born in Antwerp, Flanders, Belgium in 1996. Like the only Belgian winner of the ESC Sandra Kim with “J’aime La Vie” in 1986, Laura has Italian roots. Maybe this can be seen as good omen. In 2008 Laura had her first role in the TV crime drama Witse, as well as appearances in the musicals Annie and Domino. In the year 2014 Laura has taken part in The Voice, where she became second. Her debut single “Outta Here” reached the 23rd position in the Flemish charts afterwards. Laura’s idols are Bruno Mars, Beyouncé and Michael Jackson. The song “What’s The Pressure” is an up-tempo pop song with motown, soul and funk elements. It’s definitely a feel-good entry with a catchy chorus. Laura is performing this happy song with a very lovely and convincing attitude and spreads out her energy wherever she is. The song is about coping with crazy everyday life problems, not to forget the happy things in life. With her positive energy and self-confidence, the 19 years old singer should make it into the Grand Final. Belgium is participating for the 59th time in the Eurovision Song Contest this year. Due to the fact the Belgium has two languages and regions Flanders and Wallonia the Belgian representative is being provided alternately each year. Now it cannot be said, which part of Belgium is more successful, as Wallonia and Flanders both had good and bad songs recently. 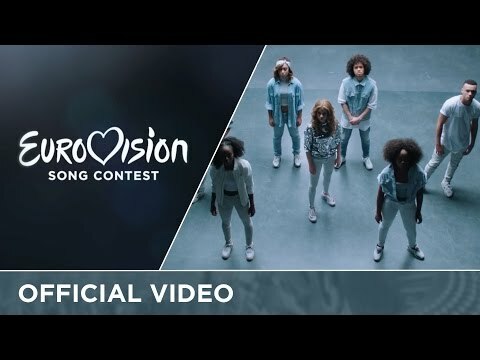 Belgium could win the ESC back in 1986 with “J’aime La Vie” sung by Sandra Kim. Over all these years there have many good places in the top 10, the closest to win again was “Sanomi” by Urban Trad in 2003 (2nd), furthermore “L'amour ça Fait Chanter La Vie” by Jean Vallée in 1978 (2nd) and recently “Me and my guitar” by Tom Dice in 2010 (6th). Roberto Bellarosa made a 12th place with “Love Kills” in the Grand Final in Malmö 2013 and last year, Loïc Nottet could achieve a remarkable 4th place in Vienna with “Rhythm Inside”. Due to the introduction of the Semi Finals in 2004 some countries are struggling to qualify for the Grand Final. Belgium is one of the countries which had some difficulties lately, only four times Belgium could qualify in the last twelve years. It has also to be taken into consideration that the competition has grown over the years. The Eastern European countries are making the half of the participating countries nowadays, so therefore some well-established countries have to make the way for the new countries. The positive thing about it is that it forces the composers to bring higher quality songs into the competition; there is less place for weak songs. But this has paid off lately.